Global stock markets were reeling Monday as U.S. insurance giant AIG revealed losses of $62 billion — the largest quarterly loss in corporate history. In a statement issued Sunday, the U.S. Treasury Department said it would provide $30 billion in extra funding for AIG to “help stabilize the company, and in doing so help stabilize the financial system.” What does this all mean What are the implications if the insurance giant folds Financial expert David Buik, of BCG Partners, attempts to shed some light on the gloom. What does this loss mean The size of the loss underlines the gargantuan size of the business. This is absolutely massive, with huge implications for the global economy. 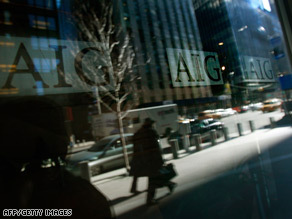 With the latest bailout package, AIG will be responsible for $80 billion of funds from the U.S. government. Will AIG collapse It’s possible. The extra $30 billion AIG will get from the U.S. government is the equivalent of the little boy putting his finger in the dike to stop the water flooding in. This is incredibly serious as it makes Citigroup’s recent losses look insignificant by comparison. What would happen if it did It would quite simply be the biggest financial disaster in history — completely catastrophic. There hasn’t been a single insurance bond trade in the world that has not had AIG’s stamp on it either directly or indirectly. The whole insurance market would be trashed. Apart from hoping that this latest cash injection will work AIG will be trying to downsize, selling off much of its diverse range of business interests — from real estate to aircraft leasing — for a decent price. That said it will take a long time for AIG to restore its battered reputation. AIG’s Distress: Are There Enough Fingers for This Dike?